This month, led signs wholesaler AffordableLed.Com slashes 25%-60% on selected led signs to assist businesses increase sales with this attractive and animated equipment. Don't miss the opportunity to generate more profit with vivid and multihued led signs. 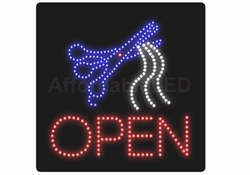 From its original price of $230.00, this Open Hair Cut Sign now costs only $165.00. Discounts and price reduction should always be taken advantage of. During these hard times, establishments still need to invest on marketing equipment that will drive traffic to their sites and attract more customers. Led signs are a worthy investment because they are both animated and bright, a visually appealing marketing tool that guarantees calling the attention of clients and patrons to business enterprises. This month, AffordableLed.Com, the largest wholesale distributor of led signs and led products, is offering led signs for as low as $109.00. Taking away as much as 25%-60% off on selected led signs prices, no businesses should pass up on this chance. With bright and animated led signs installed on establishments, as much as 10% increase on foot traffic is generated. Open haircut led signs that used to cost $239.00 are now available for only $165.00 while bubble tea led signs costing $199.00 are now sold for a mere $139.00. That's saving as much as $60-$75.00 on affordable led signs. With a small price to pay for investing in energy-saving led signs, more income is certainly guaranteed. Because led signs only utilize one-tenth of the energy a regular light normally uses, led signs are thus more energy efficient and last longer. Led signs are a better choice as compared to neon signs because they use 70% less electricity. Purchasing led signs from AffordableLed.Com promises every customer of the lowest price of led signs in the market as well as a one-year guarantee on all led signs products. Furthermore, the led signs wholesaler is also offering free shipping in 48 states. Providing the best quality in led signs for the coffee, food, and beverage industry, AffordableLed.Com also offers convenient store led signs, custom led signs and programmable message boards. Sign up for the company's mailing list to be constantly updated on the latest discounts the led signs wholesale has to offer. With a $60.00 price reduction, this BoBa Led Sign will certainly shine brightly in establishments. 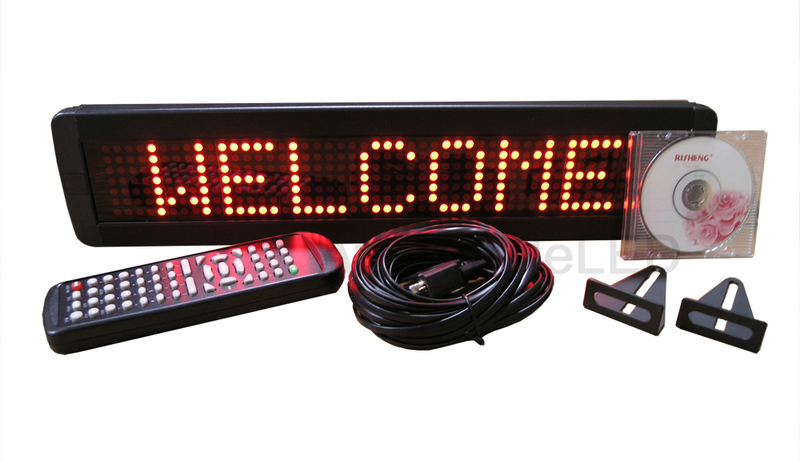 Top quality programmable led signs are also available for purchase at AffordableLed.Com.